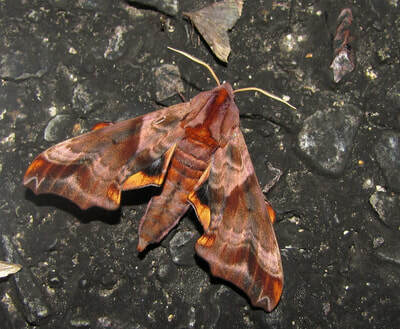 The genus Paonias has 3 species in the USA. There are about 5 species in the Americas; this genus isn’t found elsewhere. 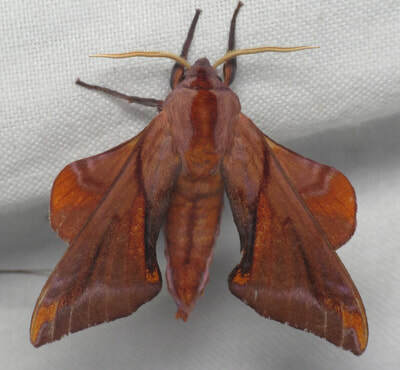 General Information: These are small moths, generally brightly colored with eyespots on the hindwings. 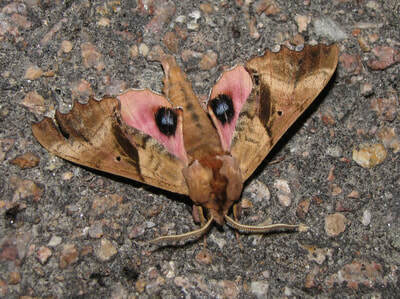 The hindwing color can be orange, yellow, or pink.